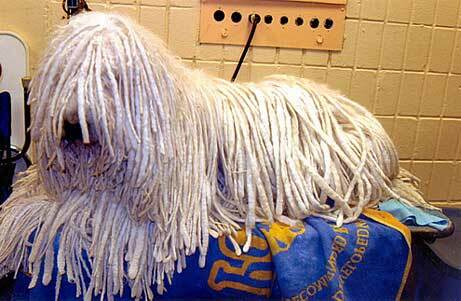 Sometimes called “mop dogs,” the Komondor is an imposing dog with a natural guardian instinct. They are easily recognizable because of their distinct white cord coat! The Komondor has a large head and elongated triangle ears. Their eyes are almond shaped, medium-sized, and dark brown in color. Their muzzle is wide and truncated, ending in a black nose. A Komondor dog’s neck is moderately arched and muscular. They have a deep chest and a straight, strong back. Their tail hangs down to their hocks with a slight curve. You’ll quickly notice that your Komondor puppy has large feet — that’s a characteristic of this breed! 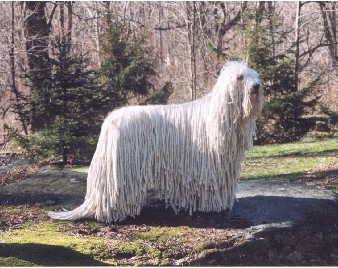 The Komondor dug has a rather unique coat made up of a soft and woolly undercoat trapped in a coarse outer coat, forming tassel-like cords with a texture reminiscent of felt. 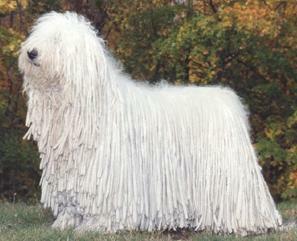 The Komondor is always white. Common Misspellings Comondor, Kommondor, or Komendor. They can be stubborn and domineering, and because of their size, you should plan on extensively socializing and obedience training your Komondor puppy. The Komondor is very much a guardian breed, and they can behave aggressively toward strangers, other dogs, or anything else that could pose a threat to their loved ones. The Komondor does tend to get along with other pets, especially small ones, and they may come to think of them as part of their flock. In a positive and structured environment, a Komondor is a loving, devoted dog and family companion. Their white coat can clearly show dirt and mud, and the cords retain water. 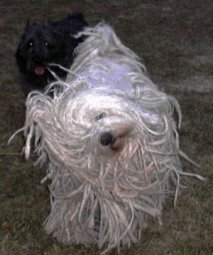 Drying your Komondor can take 12 hours or more! 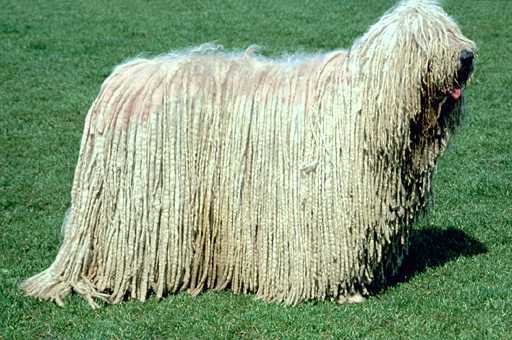 Whether youre taking your Komondor on a swim or just giving them a bath, youll need to allot time to properly dry them in front of a fan or in the sun. The coat should be brushed weekly, and the cords need to be separated in order to prevent matting. For exercise, Long walks and romps in the park are ideal for this moderately active breed. The Komondor dog can live outside in temperate weather, but they dislike heat. In terms of health issues, this breed is susceptible to canine hip dysplasia, gastric torsion, hot sports, and otitis externa. 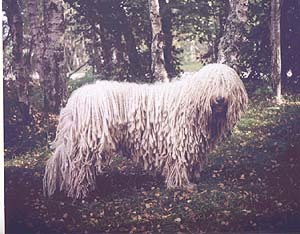 Scholars believe the Komondor descends from the Russian Owtcharka, which was introduced to Hungary by the Huns during the 4th century. 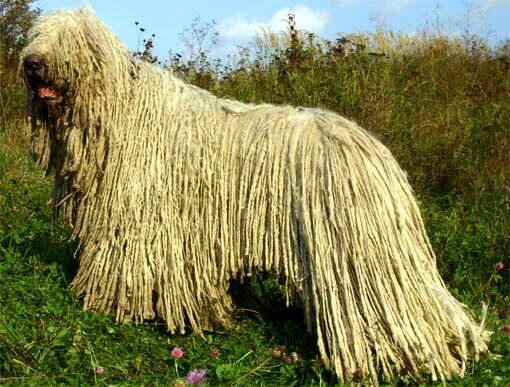 The Hungarian people, on the other hand, are content to say that the Komondor has been guarding their herds since the beginning of time. 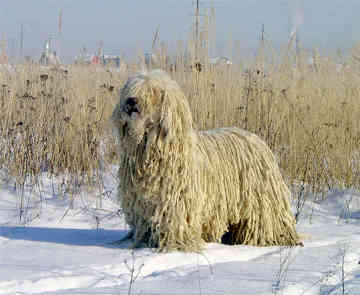 The Magyars bred a strain of sheep known as racka, which is said to closely resemble the Komondor, allowing these dogs to blend in with the flocks they protected. 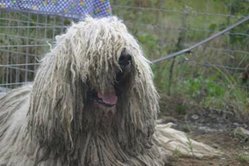 So skilled was the Komondor at protecting sheep from wild animals that they are believed by some to have eliminated the wolf in Hungary. 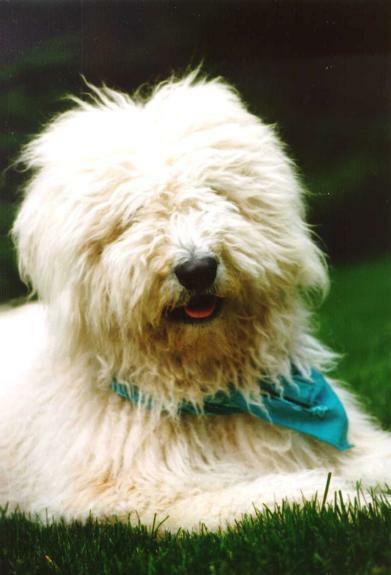 The Magyar kept the Komondor line steadfastly pure and did not allow interbreeding. The Komondor was introduced to the United States in 1933 and recognized by the American Kennel Club in 1937. The dogs numbers were significantly reduced in its native Europe during World War II, but through the efforts of European and American breeders, it was able to rebound. The time and effort required to maintain the Komondors coat has made the dog a rather unpopular pet, though some American farmers are beginning to put it to use them to guard livestock. 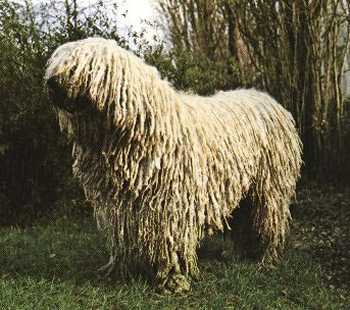 The Komondor is also still used in Hungary to guard flocks, and they are a popular pet there.